It seems that MINI will be leveraging its traditional fun and urban feeling through its future electric form. BMW’s focus on “sportiness” and “fun to drive” seems a bit defensive from the group. One of BMW’s main strengths has been its sporty, “driver’s car” and fun to drive image. For many people the BMW quality plus the sportiness of the brand and the cars is a major reason for loving the brand. How does this transition to an electric drive train however? Will BMW Group retain its fun to drive image with electric cars? With fleet mileage targets on every carmaker’s mind many vehicles are getting smaller and many OEMs are considering hybrid or pure electric vehicles. The “go-kart” feeling of the Mini Electric could be supremely important for Mini in the years to come. With Bosch and Panasonic components present in many platforms a go-kart with an urban feel could bring the BMW heritage and Mini brand into the electric car age. If the company does not manage to convey these feelings then it may find itself with a bit of a hole in its marketing. LED light assemblies and a yellow bar across the grille of the car identify the Mini Electric branding of the new line of Mini Electric cars. This particular concept doesn’t seem too crazy or insane nor does it have a lot of terribly silly ideas in it. So this is probably very close to what we’ll see in the Mini Electric once it launches in 2019. One very interesting element is that the MINI team are talking about having used 3D printing in the concept car itself. Concept cars have been made with 3D printing for decades. Dashboards, interiors, plastic parts and even complete bumpers and large exterior components have been made with 3D printing. Companies such as Materialise have often hand finished and painted such prototype parts. Being one-offs, concept cars really benefit from being printed as it is the only real cost-effective way to do this. In this Mini Electric concept the Mini team mention that the aerodynamic inlays of the wheels and the air intakes were made using 3D printing. They also say that the 3D printed parts are “illustrating the opportunities offered by 3D printing in terms of producing functional design elements for vehicle styling and customisation.” Now that is interesting. Car companies have extensively used 3D printing in concept cars, prototypes, functional testing and throughout racing for many years. Whereas there are a lot of “3D printed car” projects going on worldwide the car majors have so far only touted their use of 3D printing in engineering, design or supply chain. The opportunity in 3D printing cars is too great for car companies to ignore. Automated production of engines in metal for example may lead to highly efficient new engines. 3D printed spare parts may change the business models of spare parts providers. 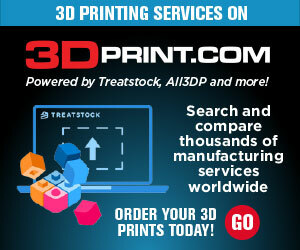 With extensive experience in using 3D printers for ages these companies know about the possibilities. Especially Daimler and BMW have a lot of 3D printing experience. Tight links with leading technology vendors such as EOS, Concept Laser and SLM Solutions as well as racing expertise using 3D printed parts have given these companies an edge over rivals. BMW has extensive 3D printing materials expertise in polymers and metals and could deploy it on the automobile. Traditionally however car companies have shied away from using 3D printing in passenger cars. I once suggested it to a business partner who worked at a major car OEM and I could have sworn he was about to faint. Testing, validation and manufacturing processes with 3D printing are in their infancy. Throughput of machines as well as production optimization are also very new. Long used as a prototyping technology, the production and manufacturing game is very different. Tolerances as well as cost structures are radically different as well. It would require quite some heavy lifting by OEMs or their suppliers to enable production for 3D printing in cars. That’s not what made that car guy nearly faint however. For things such as crash testing it was always not really understood what 3D printing custom parts in the interior would mean. It used to be that many people (me included) believed that people would love to customize their car interiors. Custom steering wheels made for your hand, unique interiors for your life or aesthetic, would seem amazing. This along with the car company’s experience in 3D printing made it seem like a likely thing that may happen. Customizing car interiors was always a non starter however. With crash testing, every component in the cabin could affect the results of the crash test. No vendor would risk a significantly lower EURO NCAP rating because they couldn’t control some 3D printed custom rearview mirror feature. At the same time from a liability and testing viewpoint it was unclear what they would have to do. Would all the different 3D printed permutations have to be tested? Or only some? Would technically the company have to test some components hundreds of times? This meant that companies would always walk away from the customization idea. What about on the outside of the car? These parts could also affect crash testing and the actual safety of the vehicle as well. And it was unclear how the companies would implement something like this. The business case is still compelling however. The aftermarket car customization industry is worth billions. People love adding personal touches to their vehicle. Car models in many niches are proliferating with one platform being used for many models. 3D printing has already been used to customize one-off automobiles for owners. What if 3D printing could be used to further differentiate more models and make them even more fitting for a niche? What if people could love a brand even more through customizing a car to make it perfect for them? At one point a car company will do this. One of the majors will bite the bullet and at scale offer 3D printed car customization for the masses. It is cost effective and compelling as a business case and is technologically possible at this moment as well. Who will it be? Many car companies have been making PR moves in this area but who will do it? Is the above sentence enough to conclude that BMW will perhaps through Mini offer customized exterior car parts for the masses? Will you in a few years be able to design your own grille elements or other parts on BMW’s website? Will you be able to add your name to the grille or customize a door handle just for you? I think that BMW may be hinting at this in their announcement. What do you think?